I've been MIA since Friday because I went home to my high school reunion. I had the time of my life and am just now catching up on my sleep. I love One Kings Lane and the variety of great sales that they have on home products. 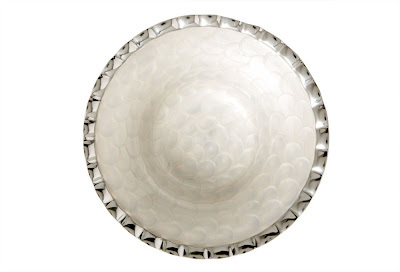 I have purchased so many great items at nicely reduced sales prices. Here are a few things I recently had delivered through UPS. I love this butterfly dessert set that came while I was out of town. 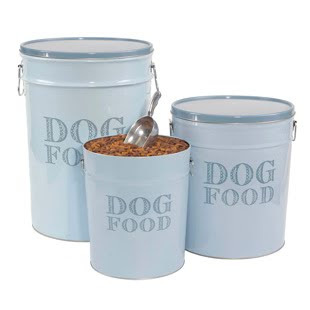 Here's a picture of my adorable dog food canister that I recently bought that is from the Harry Barker company. I bought the large one since I always buy the largest bag of dry dog food that my vet sells. It came with a handy scoop. Today they have some great sales going on. I love this pearl enamel bowl from simplydesignz. 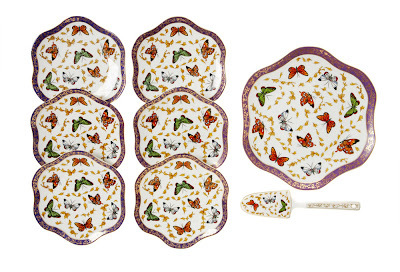 I also liked a number of things from the Currey and Company sale. 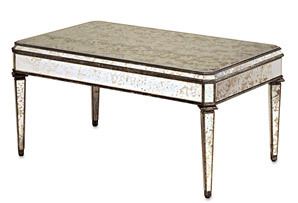 This antiqued mirror coffee table caught my eye. If you are not familiar with One Kings Lane go check them out. They have an easy registration process and then notify you of all their upcoming sales. Tastemaker Tag Sales are always on Saturday where you can find some unique one of a kind items. Let me know what caught your eye at One Kings Lane! Love the antique mirror coffee table. Pretty blog & I adore the blue artichoke graphic! I'm visiting you from New Friend Friday @ the Girl Creative.